Cat breeders have long used inbreeding -- mating closely related cats -- as a way to distinguish and promote their lines. Inbreeding allows them to produce predictable, uniform kittens with no surprises, good or bad. Though the breeder knows exactly what to expect a healthy kitten to look like, there is a downside to inbreeding. Too much inbreeding can produce cats with depressed immune systems and other health issues. Mating closely related cats -- brother and sister, father and daughter, mother and son or half-siblings -- is referred to as inbreeding. Some breed aficionados find value in inbreeding's ability to produce outstanding specimens of a breed. Breeders use it to fix traits in their cats, making their lines identifiable and prized. The related cats with the desired traits are mated and eventually -- sometimes as quickly as a generation or two -- the traits become uniform, passing on the genes for the trait, known as breed true. This allows breeders to know how the offspring will look. Inbreeding is not limited to breeders; anytime two unaltered cats are together, chances are strong that nature will take its course. After all, cats don't understand the taboo and potential problems of inbreeding. International Cat Care states that inbreeding increases the risk of the development of genetic defects. The organization acknowledges both pedigree and nonpedigree cats are vulnerable to inherited diseases, however they're more likely to occur in pedigree cats. Even though some breeds are more inbred than others, it's difficult to state that one breed is genetically healthier than another. Though a breed may have more identified diseases than another it only means that there's been greater identification of a disease, not necessarily that it has a higher number of inherited diseases. 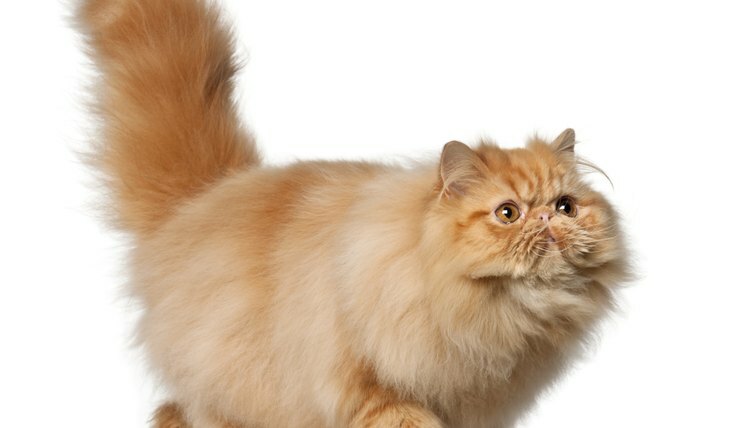 International Cat Care notes the exception to this "rule" is for a breed specifically bred for a disorder, such as Scottish folds and Persians, where the breeds are developed based on a gene mutation that's ultimately harmful to the cat. The benefits to inbreeding include predictability and the elimination of unwanted traits. As recessive genes appear, they can be eliminated by selective breeding. However, there are additional problems with inbreeding cats. As strengths are doubled, weaknesses are doubled as well. The Cat Fanciers Association of America notes that inbreeding may lead to immune deficiencies, more congenital abnormalities and cats that don't grow to their potential. Signs of excessive inbreeding include regular small litter sizes (one or two kittens), crooked noses, misaligned jaws, abnormal eye set and asymmetry. Male and females may experience low fertility and cancer is more common in younger cats. Immune system deficiencies are clear if half a litter or a group of adults die from a simple infection. A breeder may take the slow route to purity through line breeding, mating cats who are less closely related, such as cousins or grandparent to grandchild. The kittens produced are predictable; though genetic decline still occurs, it happens at a slower rate than inbreeding. Outcrossing, mating unrelated cats within the same breed, is not as consistent as inbreeding and line breeding, however, the line's vigor is improved, while maintaining a "pure" line. Unrelated cats of different breeds are hybrids, and though they're "impure," they are generally healthier cats with stronger immune systems.